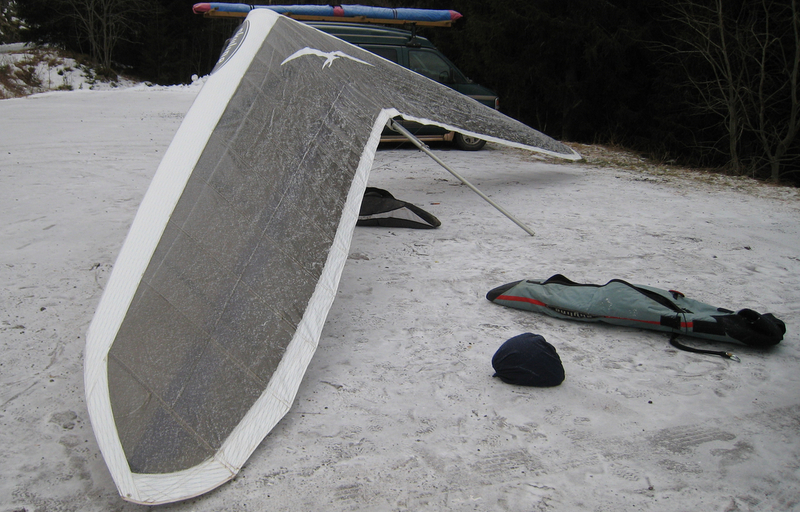 I was on call for my job this newyears weekend, so no big party, and good shape to go flying the first day of the new year. I met up with Sindre who had driven 330km to fly, and we went to Sundvollen. 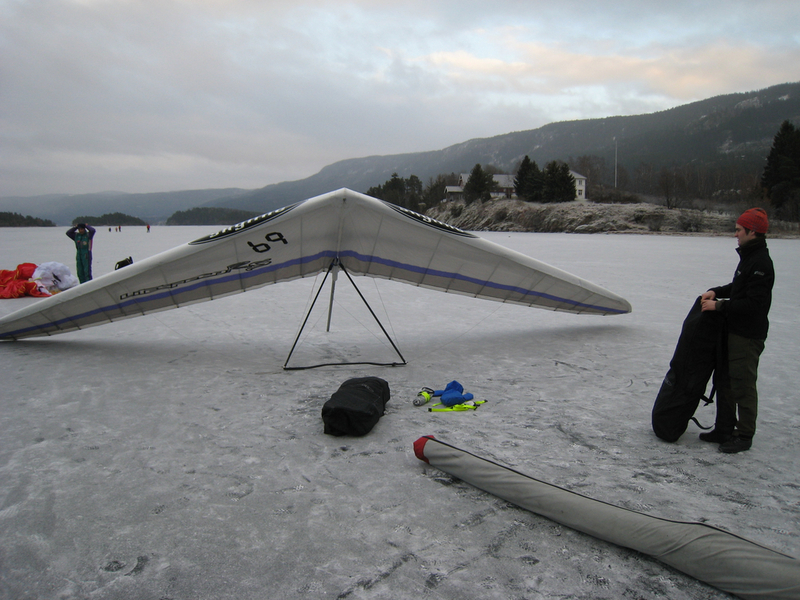 It was nice conditions for a sled ride down through light snowfall, and landing on the frozen fjord in quite mild weather for the season – just below freezing. I had one flight, Sindre two. Sindre setting up the Falcon and his first flight on his new Skyline harness. 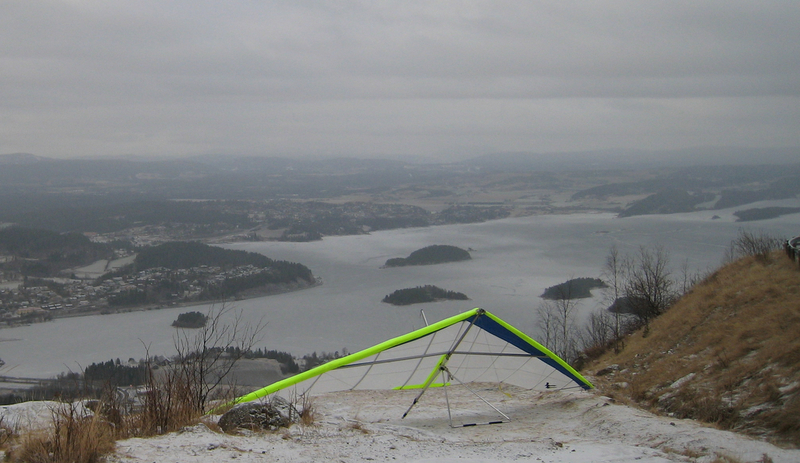 The LZ, Egil Toft in the background packing up the paraglider. 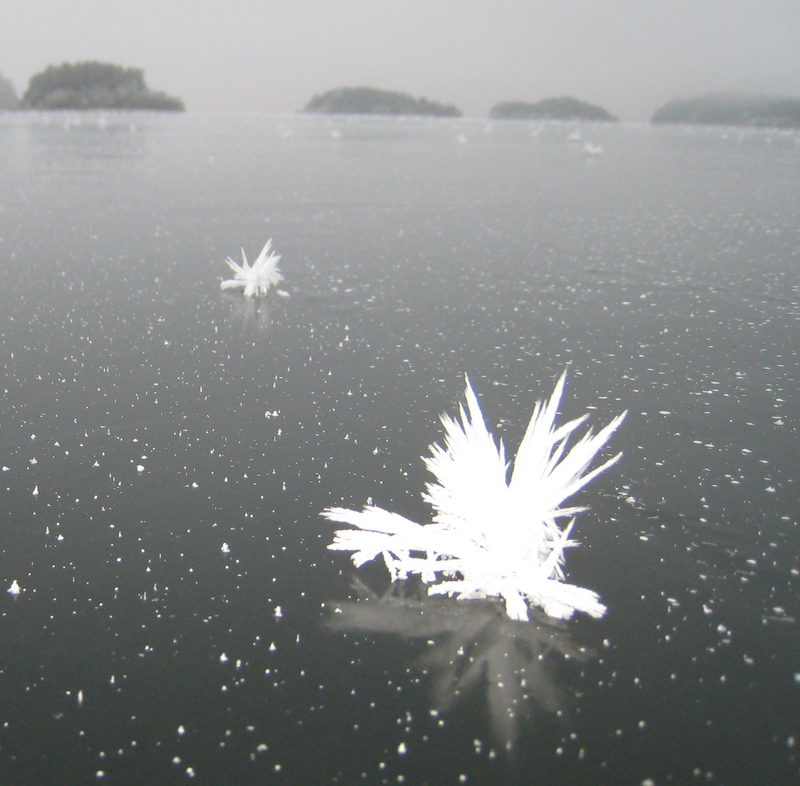 A week before Christmas we flew at Sundvollen, and saw ice flowers on the frozen fjord. I’ve never seen something like this before. 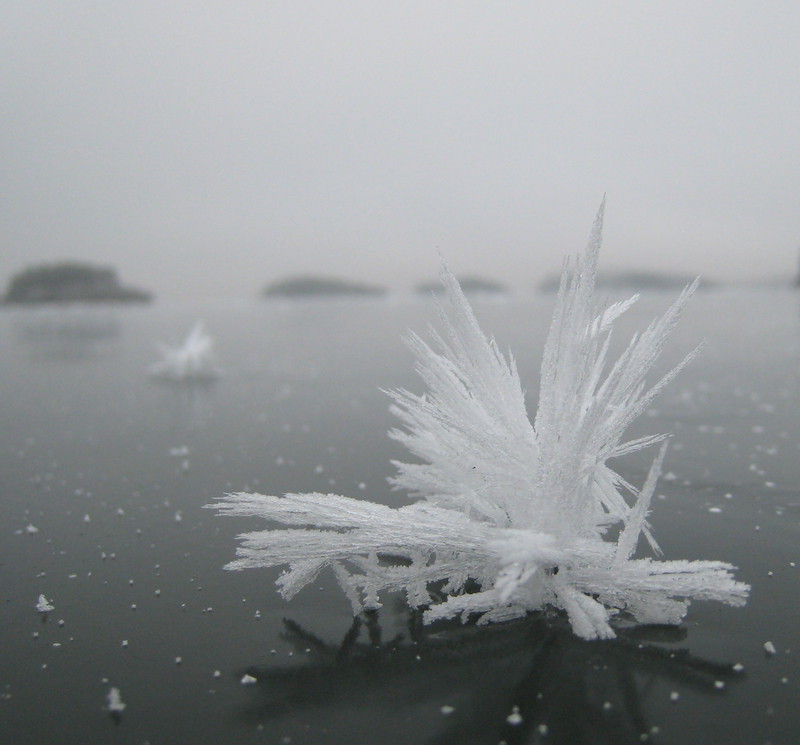 They were fragile like a snowflake, and seemed to grow straight up from the ice. 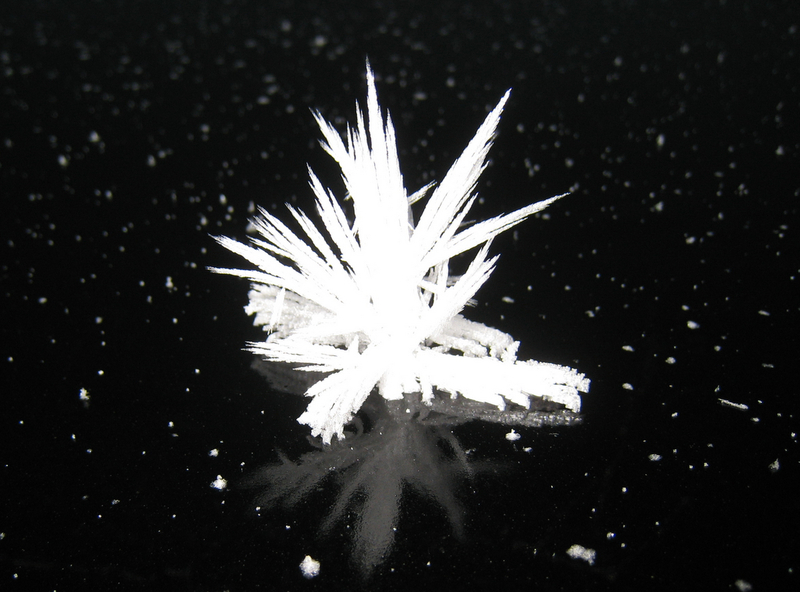 It was very humid and cold, so I guess a small crystal form around some small object on the ice, and just keep on growing in the humid air. Closeup of one of the nicer ones. There were thousands of these on the fjord. This is with flash. Wish I had a better camera with me as the flash washes out some of the details of the crystal. The whole fjord was covered, looked like a flock of swans had lost all their feathers. 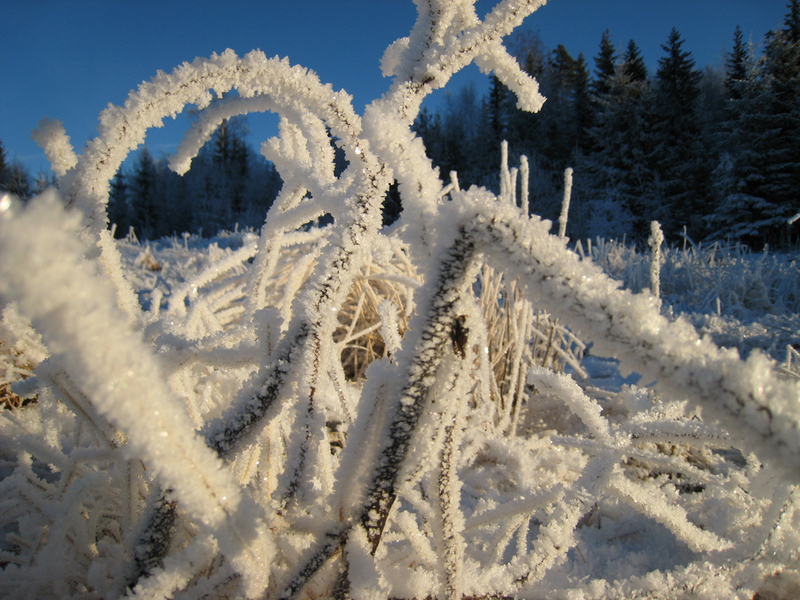 There was no snowfall the days before, just frozen fog on everything, notice the huge crystals.